ESET @Mobile World Congress. Join us and take a&nbsp;look! 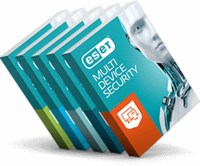 ESET, a pioneer in IT security industry for more than two decades, is back at Mobile World Congress in Barcelona this year and we have definetely lot of things in store for you. ESET researchers have published an in-depth security report focusing on the top cybercrime trends for 2015, freely available in the white paper section on WeLiveSecurity.com. ESET researchers have uncovered MSIL/Agent.PYO, botnet which targets Polish diplomatic mission in Belarus in the last couple of weeks.